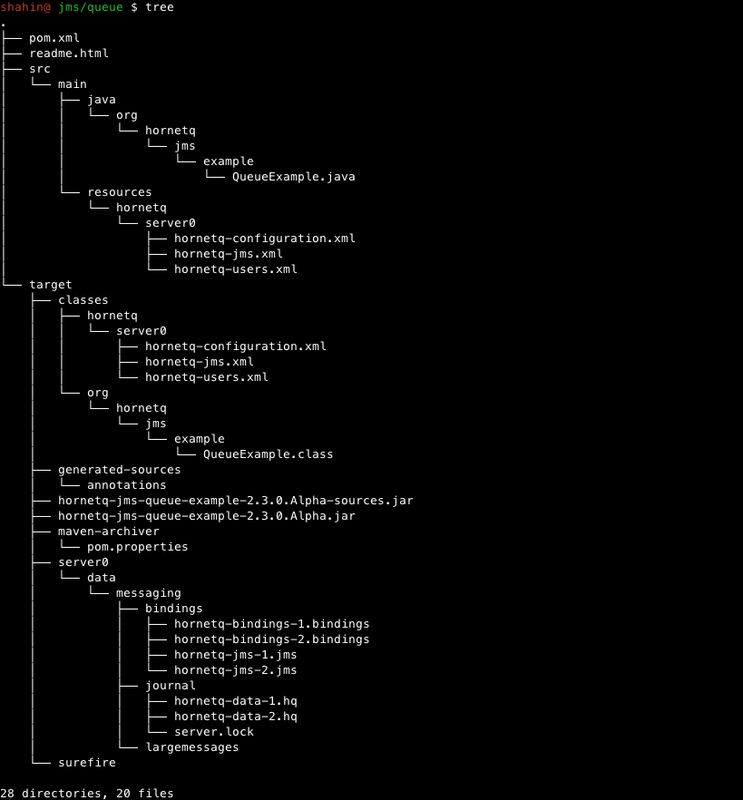 The one thing that I was really missing in Mac was the tree command line. If you are a terminal addict and a developer, you are among those with high probability of using this in linux. However, in Mac you don't have the option (it is not built-in). But there is always hope, you can follow the instructions on this post and have your tree command working. Update: Kevin mentioned in google+ that it is pheasible (and might be even easier) to use Macports (or homebrew) to install the tree command. JndiLoginInitialContextFactory is not working with JBoss >5. It worked with earlier version though. JBoss ignores the credentials for that. Google is closing down its free Apps. Wait, not for its (loyal) old customers! Starting today, we're no longer accepting new sign-ups for the free version of Google Apps (the version you're currently using). Because you're already a customer, this change has no impact on your service, and you can continue to use Google Apps for free. Reading this comforted me. I never expected Google to make a free service to become fee based and force its users to pay. It is really nice of them to let those free Apps users keep their account. Otherwise I was looking for at least 50$ a year, or most probably getting my own hosting (for double that price of course) but with many additional options. This reminds me of the time Google bought Feedburner and somehow messed up some feedburner feeds' names. Apologizing its customers, it sent them a nice package of mouse and pen. The package was not that important but the move; showing how much they appreciate their customers. Have you ever wondered which one to choose if you want constraint(s) to be forced on data? You can achieve your goal by using Triggers or Constraints (or even both). But the questions is which one to choose, and which one is better to use? Shall one go with Constraint all the time or pick Triggers every now and then? The relief is that there is a simple answer to that. Try to use constraints if you can. Constraints are "closer" to databases. Constraint are relational restriction you are setting for your data, and if you are using a relational database it is always best to use them. As all we know databases nowadays do more than just storing data and retrieving them, they perform optimization on queries as well. Defining constraint in your database, which is a relational principle, will give another chance for your database to deal with performance issues. JBoss implementaiton of security is JBossSX. It both supports declarative J2EE (JEE) and role-based security model. Default implementation for declarative security model is JAAS. Declarative: you declare the security roles and permissions using a standard XML message, rather than embedding in your code. 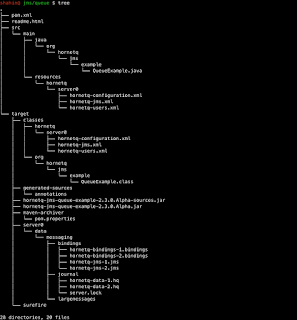 Secure access to EJBs and web components using ejb-jar.xml and web.xml deployment descriptors. New from EJB 2.0, specify what identity an EJC should use when it invokes methods on other components. I do like having all the applications that can be installed in one place. It is a really nice feature to have. Whenever you want, you can go there, find your app, have your apps backed up, read others reviews and so on. These are all good only and only if the application you are installing won't be different from what you can get out of the AppStore. Interesting right? Apple has put some guideline in place for those applications in App Store of its Mac. For example, if you install TextWrangler from AppStore you won't get the ability to use its command line tools, such as edit .bash_profile. However, if you download from their website, you will get the full application with all the perks. See what they are saying themselves. In order to comply with Apple’s submission guidelines, the Mac App Store version of BBEdit does not support automatic installation and updating of the bbedit, bbfind, and bbdiff command-line tools (and their associated man pages). However, it is possible to install the tools without using BBEdit’s built-in installation, and once installed, they will work correctly. BBEdit is another product of Bare Bones Software, similar to TextWrangler. To me, it is not a really nice direction Apple is heading. Asking developers to reduce their software capabilities to be accepted in AppStore is not something I am looking for. After learning that, I didn't even once clicked on the AppStore icon in the Mac, old school searching, finding the application website, and downloading directly from there was and will be what I am going to do. This is something bothering me for a long time. I was working in a project dealing with several dependencies. After some reboots I got an exclamation mark next to the java project, like this one. There are no notes or suggestions on what is going wrong. Cleaning the projects won't work either. After some research, I have figured out that this kind of problem is related to the working code, which means it is something going wrong on the build directory. Whenever you got exclamation mark error, you first better try to clean your project, if no success, try deleting the build directory and any other build related material in your project code. The red exclamation mark means Eclipse is having trouble finding a required library or source. and it will do the trick. Java Authentication and Authorization Service, or JAAS, pronounced "Jazz"
Have you noticed whenever you are connecting your Microsoft Windows PC or laptop to a second monitor, there is only one task-bar and it will stay with the main display? Is it a good option or not, you can have your say. However, I believe for most developers like me, it is not a great advantage. You do not know which windows are open in which monitor. So, if you are eager to have extended task-bar for your extra monitor, I would recommend using Actual Multiple Monitors. This is not an open source program nor it is a free one, but is has many free features that you can utilize. If you find yourself so in love with the application to use all its features you can try buying it. I have tried several applications and this is one of the best I came across. My criteria was simplicity and the ability to show the window position related to the monitor its being used. If you are trying to compare two strings in a stored procedure or trigger or ... you need to note that you have to specify the length of the strings before comparison, if you don't do that, you won't get the expected result out of your query. Also remember, it is one equal sign not two like Java. I am not suggesting to do that, I am looking at DBs as storage for data and to me, all manipulations on data should be exercised on the logic layer of your application. How to Compare two strings using a if in a stored procedure in sql server 2008? 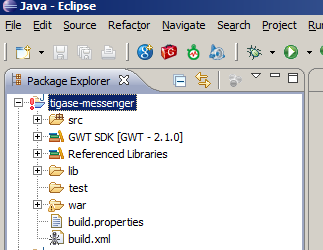 Have you ever wondered how you can move to the next / previous tab when coding in Eclipse? You might find it very helpful to know that you can do that by using Ctrl + PgUp / PgDn (in windows) for moving to the next or previous tab or by clicking Ctrl + E or Ctrl + F6 for a list of tabs to pop up, then you select which one to show using arrow keys. The locale settings are about formatting output given a locale. 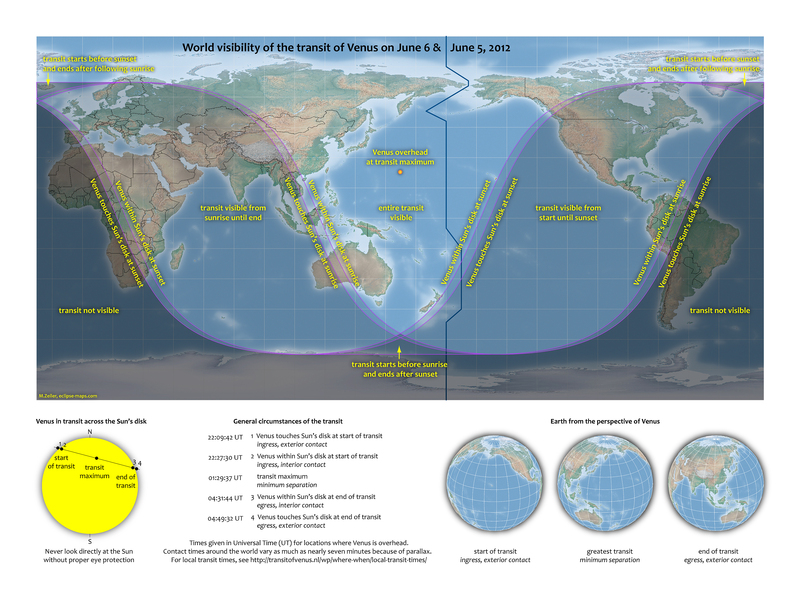 So, the timezone information and daylight saving time are not usually part of the locale settings. Less usual, but worth mentioning, is the input format setting. This is mostly defined on a per application basis." An operation that requires a Locale to perform its task is called locale-sensitive and uses the Locale to tailor information for the user. Last year, I was part of Google IO. This year however, 3 days was not feasible for me. It was a fun event, with many talented people from all over the world attending it. Last year, Google handed out Samsung Tab 10.1 and Chromebooks for free. This year I believe there is going to be a 7 inch Nexus tablet from Google and Asus for sure. Not sure, if there is going to be any more handouts or not. Although, I have attended IO last year, I have found myself watching videos of other events on my own time on YouTube. This time I have decided to do that for all sessions, starting with keynote. This is one of the best videos I've ever seen presenting Canon 60D features in an interactive mode. I did learn a lot from it, you will too.